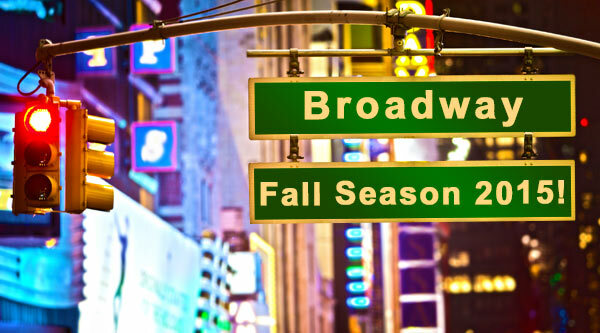 One thing that makes it easy to say goodbye to summer – the Broadway Fall season! This year, a number of new productions are opening. Some are fresh takes on old classics while others are brand new debuts. Regardless, they’re all hoping to make their mark! The Gin Game – James Earl Jones and Cicely Tyson, two titans of theater, make their triumphant return to Broadway in this Pulitzer Prize-winning play. Set in an old age home, this drama will tug at your heart strings. Without a doubt, you’ll also appreciate the subtle genius of designer Riccardo Hernandez, whose costumes definitely help set the mood and tone. King Charles III – From the highly inventive mind of playwright Mike Bartlett, King Charles III presents a world in which Queen Elizabeth is dead and Charles has finally ascended the throne. It’s a cunning exploration of the people behind the crowns and Britain’s most famous family. Importantly, costume designer Tom Scutt provides his own deft take on royalty. China Doll – China Doll offers the unbeatable combination of David Mamet and Al Pacino – two heavyweights known for creating some of the most electric theater around. As if that creative firepower wasn’t enough, Jess Goldstein was tapped to design the costumes. You know every detail of this drama will be impressive! Sylvia – If you’re looking for a laugh, consider seeing this reprisal of the A.R. Gurney comedy. Starring Matthew Broderick, Julie White and Annaleigh Ashford (in the titular role), the play is about a man who adopts a dog to see him through a midlife crisis. Full of wit, we think you’ll also dig the smart costumes designed by powerhouse Ann Roth. Hamilton – An absolute tour de force, Lin-Manuel Miranda’s Hamilton is one of this season’s hottest tickets. Miranda’s extremely innovative use of rap and race-blind casting turns the history of our founding fathers on its head. And you can rest assured that Paul Tazewell’s costumes will be as bold and edgy as this new show! Dames at Sea – Though it had a long life Off-Broadway, Dames at Sea is finally opening on the Great White Way. A parody of Busby Berkeley movies, this production will definitely be a delightful romp! We look forward to seeing how talented costume designer David C. Woolard captures the fun and whimsy. Fiddler on the Roof – One of theater’s most beloved musicals, Fiddler tells the sweeping tale of the besieged Jewish residents of a small Russian village. This production is being helmed by Tony Award-winning director Bartlett Sher. And the costumes from designer extraordinaire Catherine Zuber will have you feeling as though you’re passing through an actual shtetl. Spring Awakening – A huge hit when it originally premiered in 2006, this unique revival of Spring Awakening will be presented in both American Sign Language and spoken English. And that’s not the only change! Award-winning designer Dane Laffrey has given the costumes a contemporary twist. Though we’re confident that you’ll still be transported to 19th century Germany! Allegiance – Allegiance is a new musical that dares to explore a dark part of America’s past. Inspired by the life of actor George Takei, the show follows a Japanese-American family as they are interned by the U.S. government during WWII. Certainly a powerful story, costume designer Alejo Vietti’s work brilliantly evokes the sorrow, shame and confusion of the time. On Your Feet – On Your Feet recounts the career trajectory of Emilio and Gloria Estefan as they penetrate the Miami music scene and set their sights on superstardom! Your toe will definitely be tapping as you sit in the audience. And you’re guaranteed to be taken with the Cuban flavor Emilio Sosa incorporates into his costume design. School of Rock – School of Rock is the latest show from musical theater legend Andrew Lloyd Webber. Based upon the popular (and uproarious!) movie, the play tells the story of a failing musician who poses as a teacher and manages to turn his students into a band. It’s sure to be a crowd pleaser. And we can’t wait to see how brilliant costume designer Anna Louizos tackles youthful exuberance and the rock n’ roll spirit. The Color Purple – This revival of The Color Purple is certain to amaze! After all, it’s a star-studded production with Cynthia Erivo reprising her mind-blowing performance and Oscar-winner Jennifer Hudson making her Broadway debut. And with the supremely talented Paul Tazewell designing the costumes, it’s guaranteed to be a success! This is just a sample of what’s currently gracing the Great White Way. With all of these fantastic options, this Broadway season is shaping up to be rather thrilling. We’ll see you at the theater! Tagged Broadway, Broadway Musicals, Broadway Shows. Bookmark the permalink.